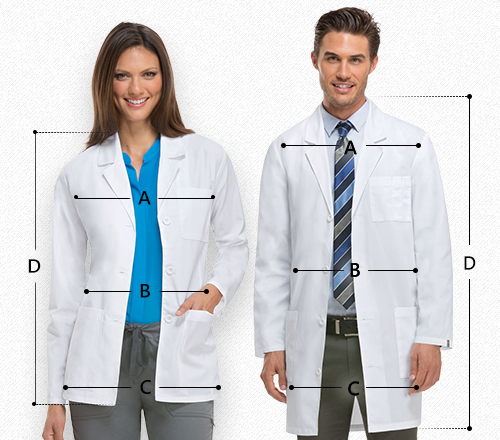 Get a classic custom fit with unbeatable value! 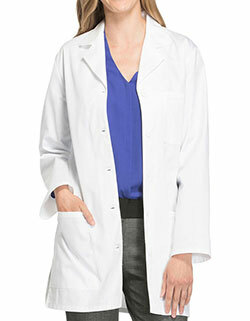 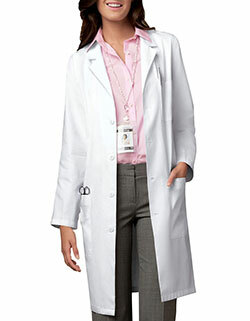 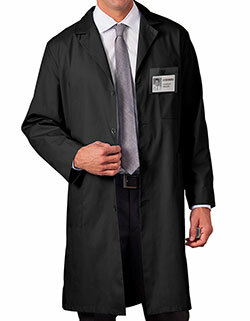 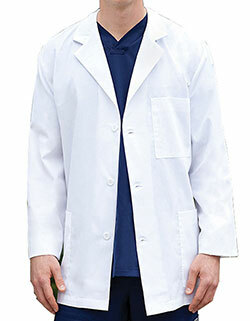 The 38-inch long men lab coat with notched lapel collar and four-button closure with a back pleated style with a sewn down belt for shaping enhances your silhouette. 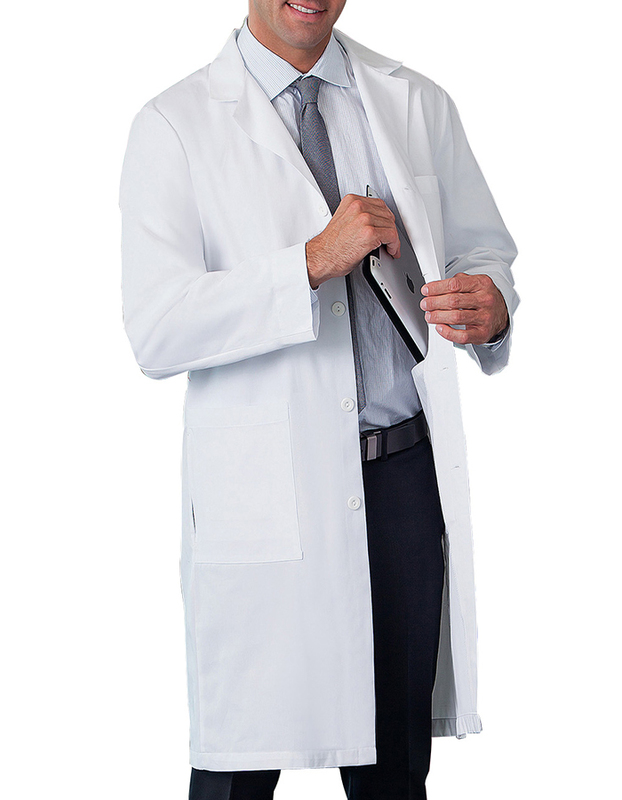 Moreover, the side hand openings, two inside pockets, one with a scissors holder, a chest pocket that has a pen holder and two lower pockets with one-inch top hem make storage easier than ever.